This delightful recipe couldn't be easier to make! I contains only one ingredient, so it's really not a recipe, but I'll call this a recipe nonetheless. This recipe makes a soothing and softly aromatic room mist that your child can use to repel monsters, the boogie man and any other scary creature lurking in his/her mind, underneath the bed, in that dark closet or in the cold, creepy basement. Of course, I'm not suggesting that there really are monsters (remember this is all in fun! ), but this spray may potentially help give your child control over these scary creatures in their minds. It may also gently help to combat your child's fears and anxieties and help sooth him/her to sleep. It's gentle aroma may also help to calm adult anxieties and fears. AromaWeb's Monster Repellent Recipe was inspired by a delightful question submitted by a visitor to AromaWeb. Do you have a recipe request? Be sure to let AromaWeb know. 3.5 fl. ounces of Neroli Hydrosol. Visit the What are Hydrosols? article for more information on hydrosols. 4 oz. clean spray bottle with a fine mist setting (do not use a bottle that previously contained cleaning products or hair products such as hair spray). An opaque plastic bottle is recommended. By being in opaque packaging, it makes the clear Neroli hydrosol more "mysterious." Ideally, hydrosols should be stored in glass bottles. Since this product may be used by a child, use of glass packaging is not recommended. Neroli Hydrosol is a wonderfully aromatic distillate water, also known as a hydrolat. Many aromatherapy retailers sell Neroli and other hydrosols (see the Hydrosols business directory category). Neroli Hydrosol has a light, uplifting aroma that is pleasing to most children (and adults!). It is generally regarded as safe to use with children and has the added benefit of helping to promote a sense of calm and relaxation. For more information on hydrosols, Visit the What are Hydrosols? 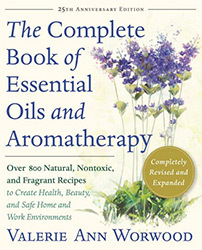 article and read Suzanne Catty's detailed book, Hydrosols: The Next Aromatherapy. Fill the spray bottle with 3-4 fl. ounces of Neroli Hydrosol. Make a fun looking "Monster Repellent" label, and place it on the bottle. Include safety precautions on the label. Mist 1-2 times. It is your responsibility to assess if you believe that your child can safely use this spray on his/her own. If you have any doubt, use the spray for your child. Tell your child about the Monster Repellent and how it "works." Hydrosols are water based and don't need to be shaken prior to each use. If you do choose to allow your child to use the Monster Repellent on his/her own, be sure to teach your child that the Monster Repellent must be sprayed away from himself/herself and away from other people, pets, plants, furniture and away from any food or beverages. Adults can also use this hydrosol spray as a room or linen mist at bedtime. This recipe is intended as a possibly soothing and lighthearted aid for children with anxieties, fears or phobias. AromaWeb assumes no liability for you or your child's use of this recipe or any products that you formulate based on this recipe. It is your responsibility to educate yourself regarding aromatherapy, essential oils and hydrosols and use sound parental/adult judgment in the creation and use of this product.